If you are wondering How to Export MBOX Files into another file format and Email Service. There are so many users who want to convert their mailbox from MBOX to different format due to some reasons or error. In this article we are going to discuss complete information about MBOX migration. Mailsware MBOX File Converter is the best and reliable software to export MBOX emails into different file format and email client. 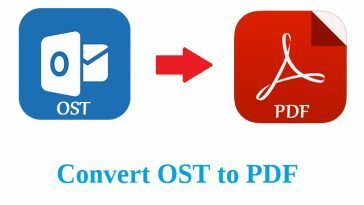 This is all-in-one tool, it provides option to convert MBOX files into PST, EML, EMLX, MSG, HTML, DOC, CSV, and many other file formats. The tool also has ability to import MBOX file into Office 365, Outlook.com, Gmail, G Suite, Yahoo account directly with the help of login credentials. It supports all MBOX supportive email application such as Mozilla Thunderbird, Apple Mail, Mac Mail, Entourage, The Bat!, Spicebird, SeaMonkey, etc. The tool has so many advanced features by which users can easily convert their MBOX emails without any complication. Convert MBOX to Multiple File Formats: This all-in-one software successfully supports to convert MBOX emails into different file format. It export MBOX to PST, PDF, HTML, DOC, MSG, EML/EMLX, etc. in a single panel. Import MBOX File into Cloud-Based Application: The tool is especially designed to resolve all the problem related to MBOX migration. It has capability to import MBOX to Office 365, Gmail, Outlook.com, Yahoo, G Suite, and others in a direct manner without any extra efforts. Export MBOX Emails to Desktop Based Platform: It provides advanced features by which you can quickly export MBOX file into Thunderbird, Windows Live Mail, Lotus Notes, Zimbra email clients. Convert MBOX Files with Attachments: The software provides conversion of MBOX mailbox data. It supports to import MBOX file along with their all attachments and attributes in its original mode. Selective and Multiple File Conversion: With this utility, you are able to convert single as well multiple MBOX files at one time. You just select folder and the tool convert complete folder at once without any loss of any data information. Maintains Integrity of Data: This application provides 100% guarantee of complete and safest conversion. It keeps all meta properties of emails completely preserves in its exact formatting. The tool maintains folder hierarchy during conversion. File Naming Option: It comes up with multiple file naming option by which you can change the default name of file. You can name the file on the basis of Subject+Date+From, Subject+Date, From+Subject+Date, etc. Windows Compatible: The tool successfully run on any version of Windows OS. It is completely Windows based software which supports Windows 10, 8.1, 8, 7,and other below edition. In the above article we have explained all-in-solution to convert MBOX files into several format. With the help of this professional tool, you can convert multiple MBOX emails at the same time without any limit. There is no need of installing any supportive application to performing MBOX mail conversion. Next article How to Export Emails from Thunderbird to Outlook 2019?